After the password for your domain user account is changed, or there is a change in the system, Microsoft Outlook 2010 and Microsoft Outlook 2013 may prompt you for your password once or continue to popup a windows asking you to authenticate. 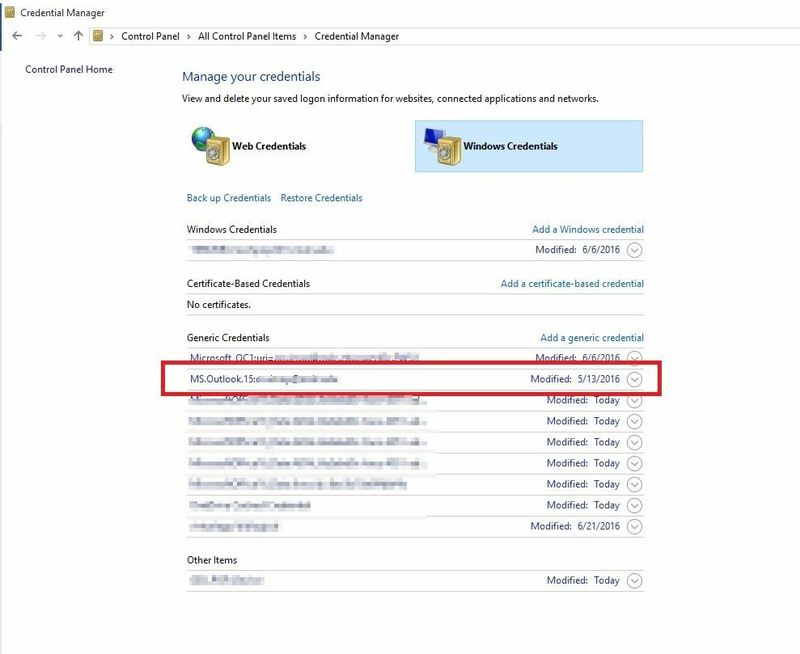 Even if you select the option Remember my credentials outlook may continue to ask for authentication in the same session or even after you log off and log back in from your MDC computer. The cause of this issue is that the credentials are not overwritten when Outlook asks to authenticate. Click Start, in the search box in windows 7 or windows 10 type Control Panel, click control panel. One control opens, select Credential Manager. Note: If View by is set to Category, click User Accounts first, and then click Credential Manager. 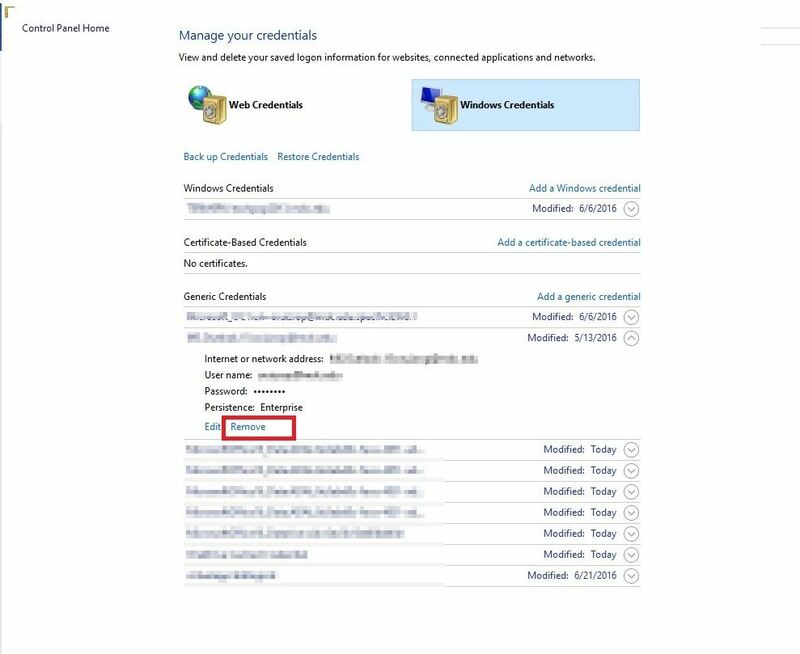 Click on Windows Credentials and locate the set of credentials that has Outlook in the name. Click the name to expand the set of credentials, and then click Remove from Vault. Repeat step 3 for any additional sets of credentials that have the word Outlook in the name. 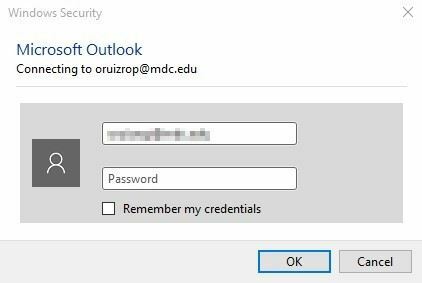 Open Outlook and when asked for credentials type in your username and current password. Important Note: Please remember that your MDC password is private and should not be shared with no one. District IT will never ask for your password via email or by phone nor we will ever send an email asking you to validate your credentials on the web.